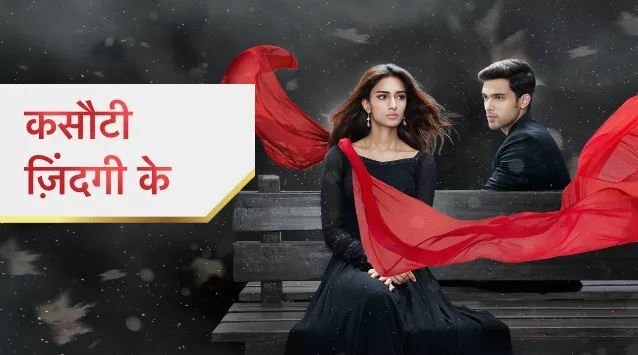 The Episode starts with Moloy saying we should have got Mohini along, Mohini would have known Komolika’s truth and also the fact that Anurag loves Prerna, its good we got to know about Komolika by CCTV footage, her dad Siddhant is a nice man. Rajesh says yes, we have a business deal with him, our share value got up because of him. Sanju follows. Moloy says we will go home and tell everything to Mohini and Veena. Rajesh asks him to drive carefully. Moloy says brakes aren’t working. Rajesh asks are you joking. Moloy says no, just call Anurag, brakes aren’t working, hold it right, the car isn’t slowing down. Rajesh calls Anurag. The car hits the pole. They get injured. Anurag is leaving from Prerna’s house. Hua mujhe….plays…. They sign towards each other. He asks her to say it sometimes. He promises to not let her go anywhere after their marriage. She asks him to go. He leaves. Sanju sees Moloy and Rajesh injured. He calls Komolika. Mishka sees the incoming call and says why is Sanju driver calling at this time. She answers the call. She drops her diary. Sanju says I did the work, I had failed car brakes, Moloy and Rajesh met with a big accident, they both died, none can know this that its a murder, not an accident. Mishka gets shocked. People gather to see Moloy and Rajesh. Komolika takes phone from Mishka and asks what did Sanju say, it means my work is done. Mishka says clear it and tell me its wrong, you played a prank with me. Komolika says no emotional drama. She gets the pic and says wow, confirmation has come. She shows the accident pic. Komolika says its true. Mishka asks do you know Moloy is Anurag’s dad. Komolika says Moloy was acting oversmart, I can’t do anything, I like Anurag, he was just favoring Prerna, I regret that Rajesh is innocent and still he got sacrificed, I was helpless to kill them. She says no one will interfere in my game now, if anyone comes in between, I will see them. She tells her plan, how she got Moloy killed by Sanju’s help. She recalls calling Sanju and asking him to fail Moloy’s car brakes. She says Anurag will cry a lot, I will be sad for him, one should always support in sorrow, Anurag will cry on my shoulder. Mishka gets shocked. Veena waits for Rajesh. She says we have to tell Rajesh what Anurag told us, Lord made Anurag and Prerna’s pairing. She asks Shivani not to act smart. Shivani smiles. Veena says every mum will wish to get a son in law like Anurag. Shivani says I also wanted Prerna to get Anurag, tell dad in front of me, I want to see his reaction, he will be so happy. Veena feels restless. Anurag checks Moloy’s missed call. He calls back. A man answers and says a big accident happened, I got this person to the hospital. Anurag asks what….. Mohini asks servants about Nivedita’s bracelet. He calls Mohini. She asks him to forget everything. She says your dad likes to trouble me, he didn’t say where he went. He says Moloy met with an accident. She gets shocked and drops the phone. Nivedita asks what happened. She shouts to everyone. Mohini says Moloy…. Nivedita asks what happened to him, no. Anupam takes the phone. Anurag asks him to reach the hospital fast. They leave. Anurag sees Moloy getting treated and cries. Pita se naam tera….plays… Veena sees Rajesh getting treated. Prerna consoles Veena. Anurag hugs Prerna and cries. She wipes his tears. Doctor comes to them. Anurag asks how is my dad and Rajesh. Doctor says both of them are critical, give us some time, get the medicines and surgical items. Anupam, Mohini and Nivedita come there. Anurag goes. Mohini cries for Moloy. Nurse says you can’t meet him. Mohini says I m his wife. Veena says doctor said the accident was dangerous, Moloy and Rajesh were in the same car. Mohini asks where is Anurag. Prerna says he went to get medicines. Komolika comes to see Moloy. He asks how are you, how did this happen, I pray that he gets fine, don’t know whose bad sight has fallen on your house. Mohini cries and sees Prerna. Komolika says I will help you, but on one condition, your dad promised my dad, you have to marry me. Anurag gets shocked.